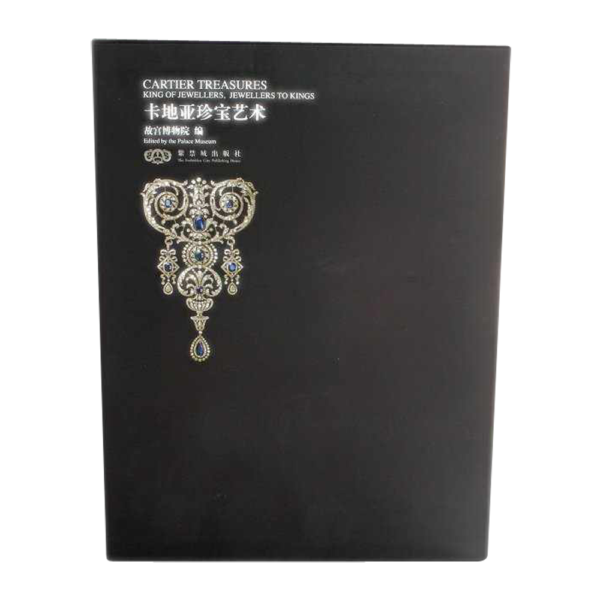 “Cartier Art Treasures – King of Jewellers, Jewellers to Kings” book by Gu Gong Bo Wu Yuan, edited by the Palace Museum and published by The Forbidden City Publishing House. In English and Chinese text. The book has divided the 346 pieces exhibitions into service for the European Royal Household, the Fortant Treasure Art, the Chinese Factors in the work of Cartier, and merging with five continents arts, so it can reflect the development process of the famous jewelry brand.